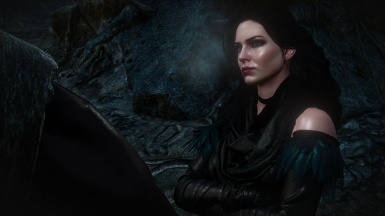 A retexture of eyes including DLCs plus replacement of normal map and shadow mask. 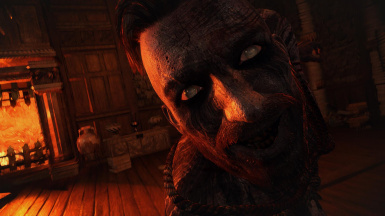 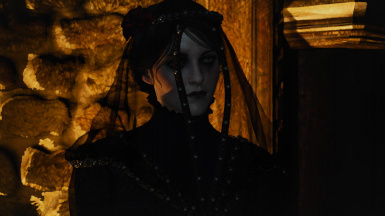 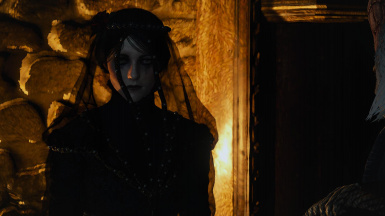 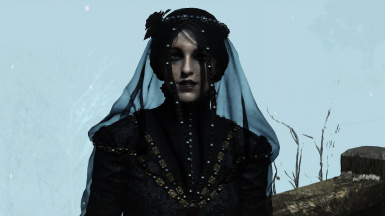 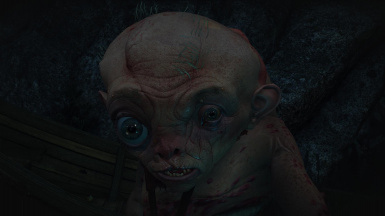 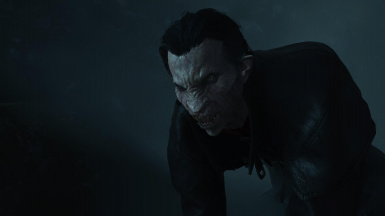 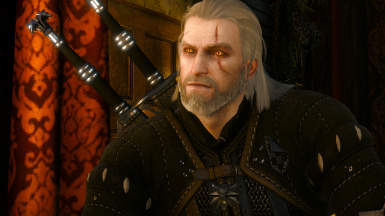 This is a retexture of all eyes in the main game and DLCs. 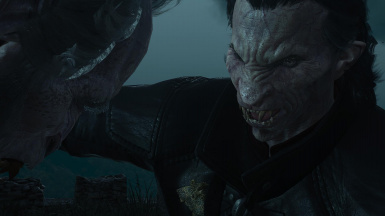 This also includes monsters which have eyes that can be retextured. 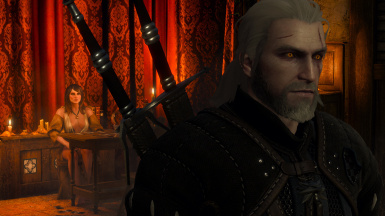 I have also redone the normal maps with ones that allows the cube map to look more like reflections instead of dots and blotches and cause the environment light to act upon them with a more lens like effect. 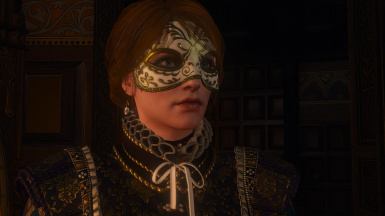 I also did some work on the shadow mask so it didn't look so much like a reddish band and appear a little bit more natural in my opinion. 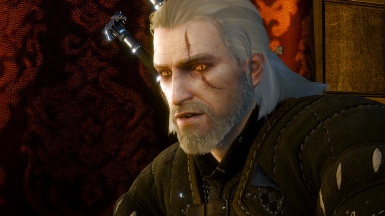 All the irises have been redone from scratch and so has the sclera, making it less red with a overhaul of the veins. 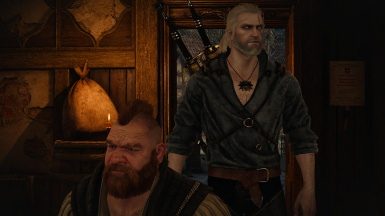 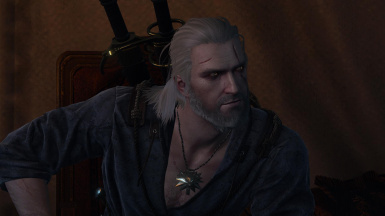 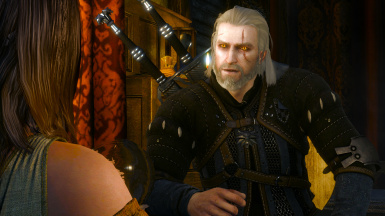 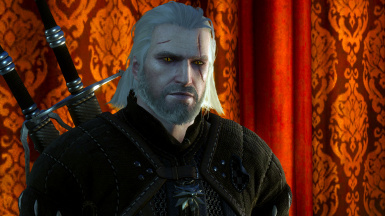 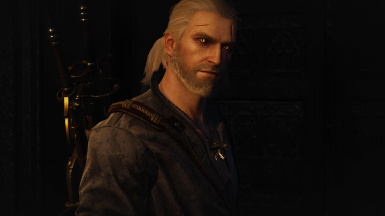 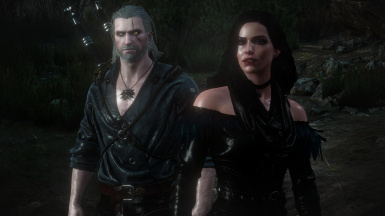 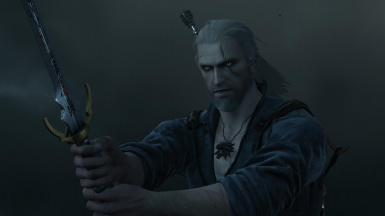 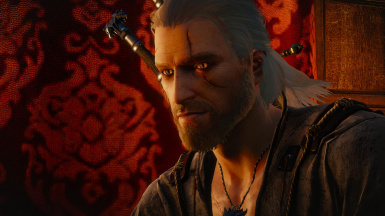 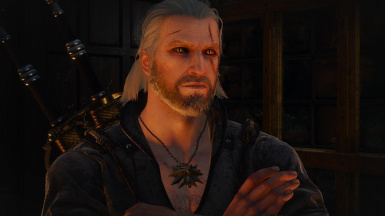 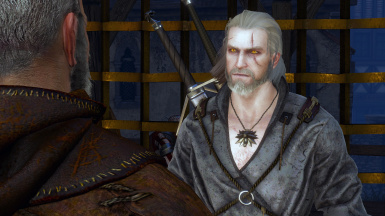 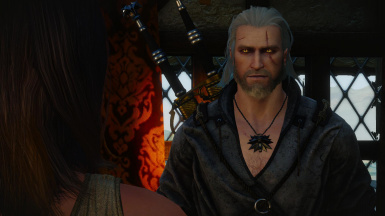 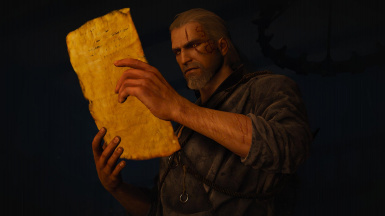 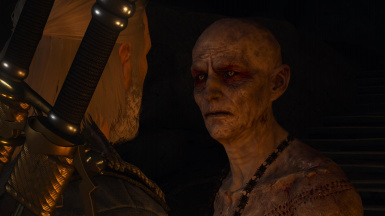 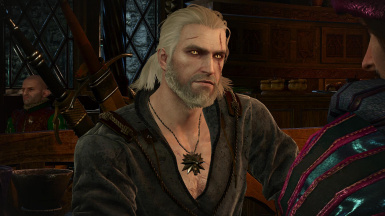 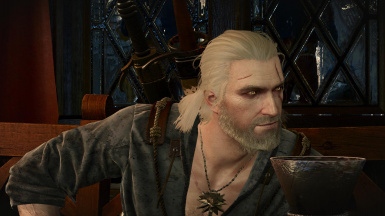 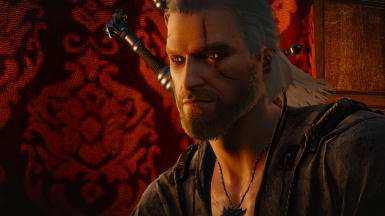 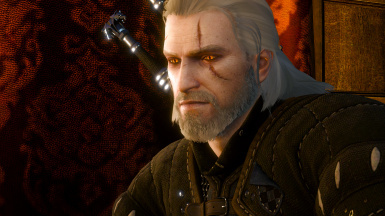 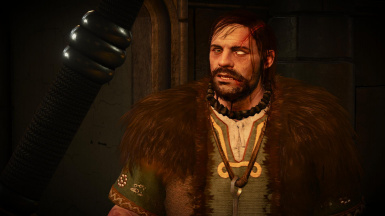 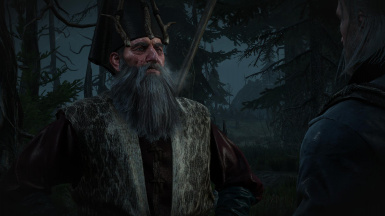 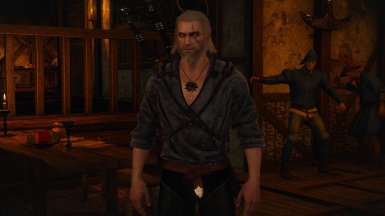 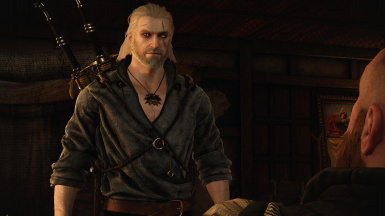 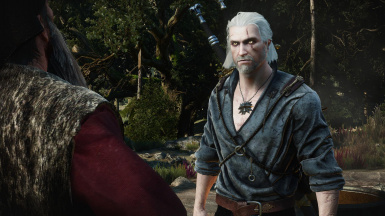 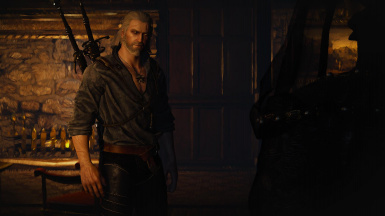 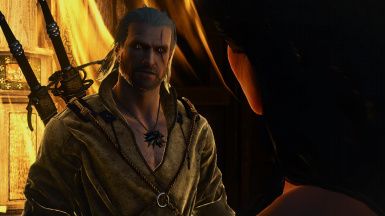 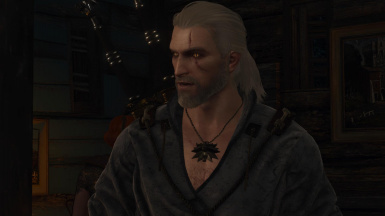 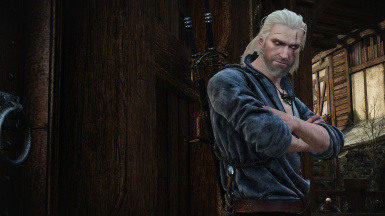 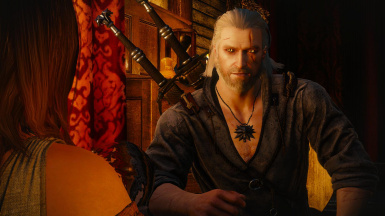 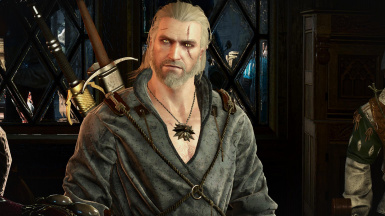 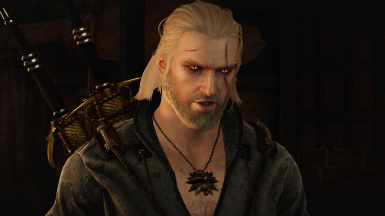 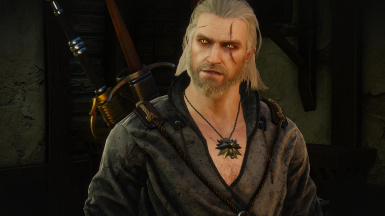 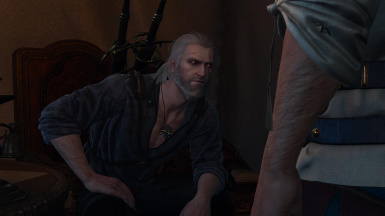 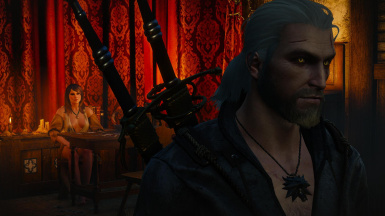 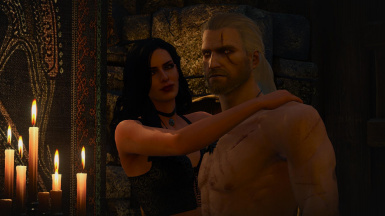 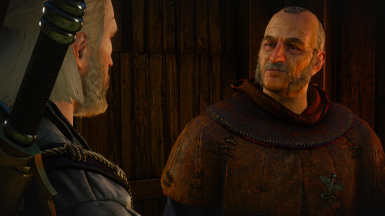 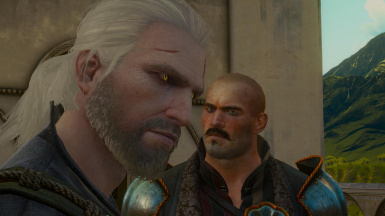 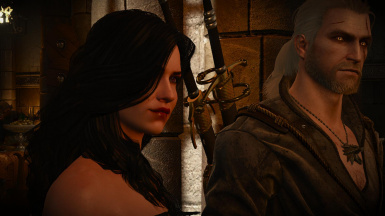 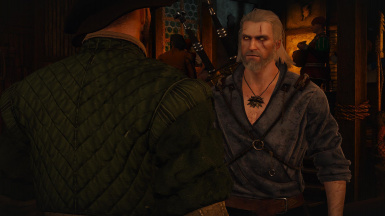 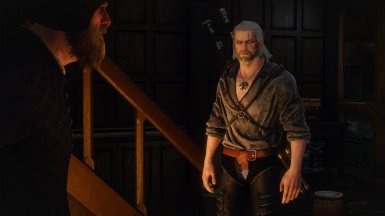 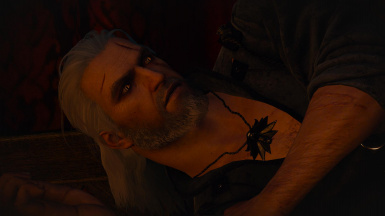 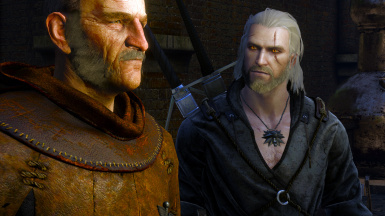 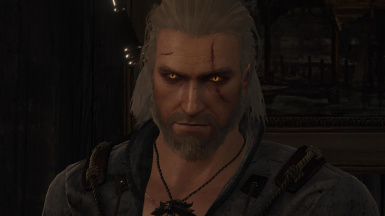 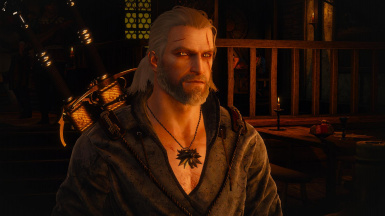 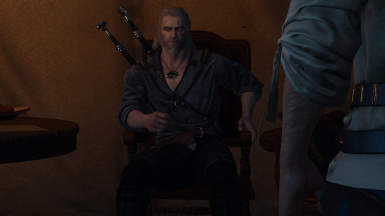 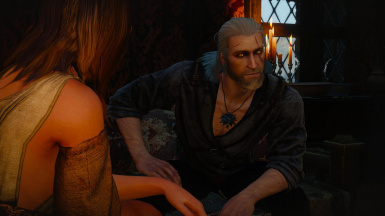 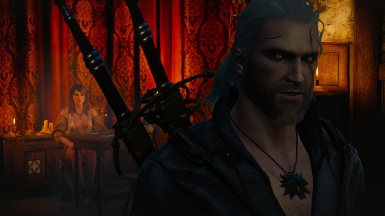 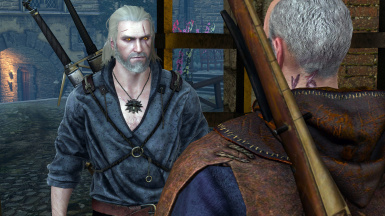 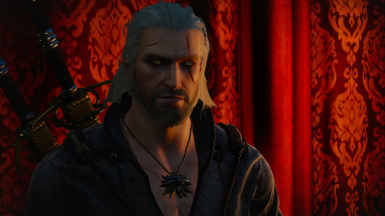 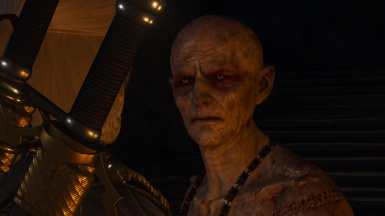 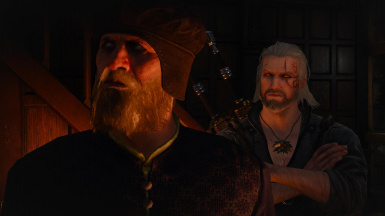 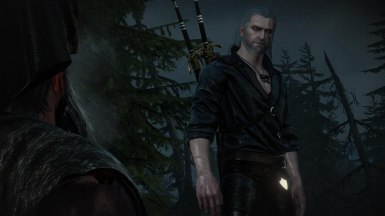 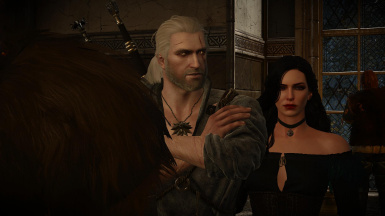 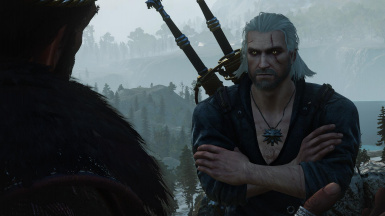 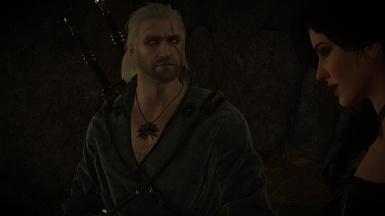 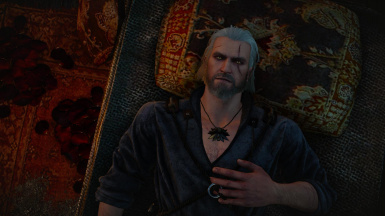 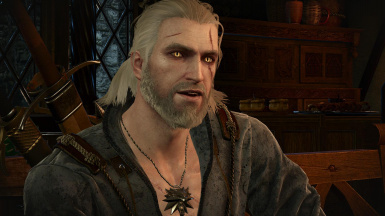 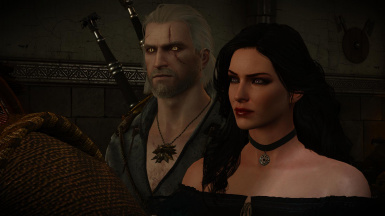 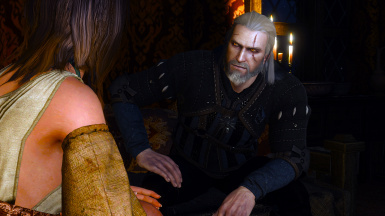 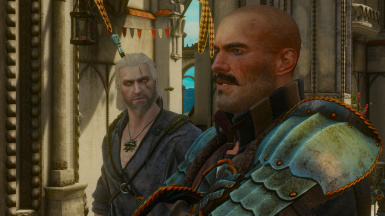 Geralt's eye now looks more feline and has the impression of being illuminated to fit more with the comments that are given by npcs. 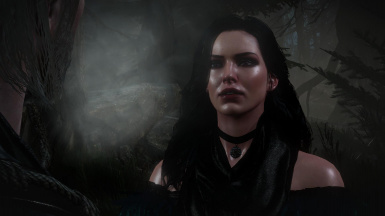 This was originally meant to be a update for my WHITES mod but it has evolved so much further than just the sclera that I have decided to release it as a separate mod making that one now obsolete. I will keep it active in case it is still liked but I will not be updating it. 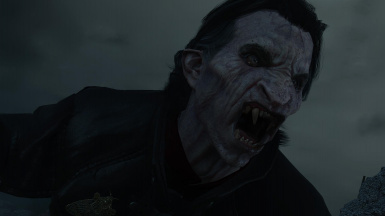 I have uploaded an optional file which is the same as the main file but with teeth textures to replace the ones in the game. 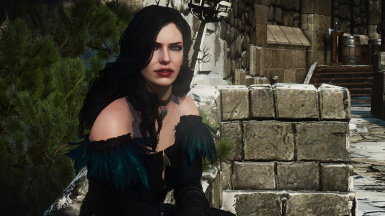 I have enhanced the vanilla textures and worked on them a bit and replaced the normal maps. 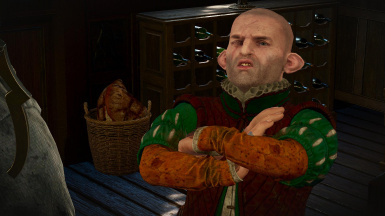 I didn't think that they were that special enough to warrant giving them their own thread. 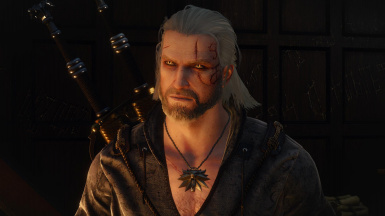 You may like them but if you don't, just use the main mod, I won't be offended, honest. 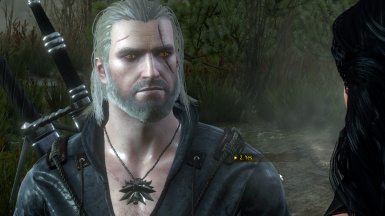 1.1: Forgot to put godling texture in 1.0, now added. 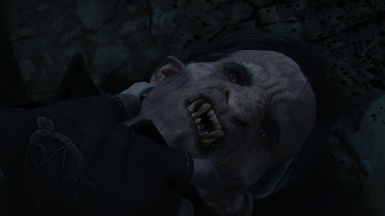 Separated the teeth textures into their own file to cut down on different variations of the main mod. 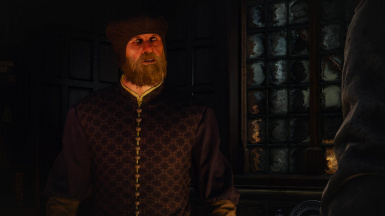 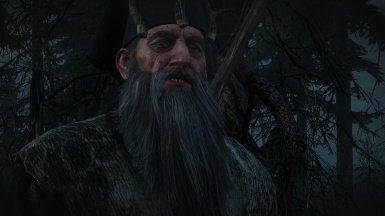 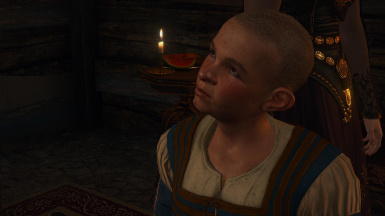 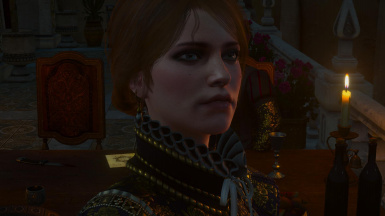 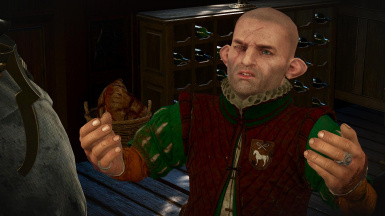 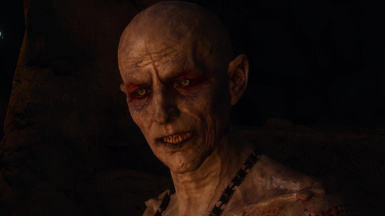 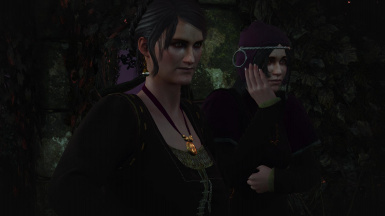 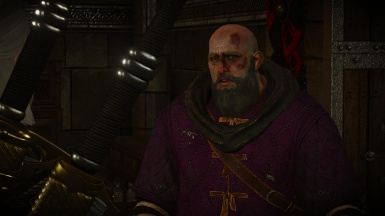 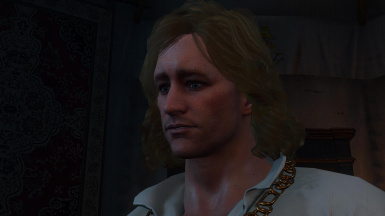 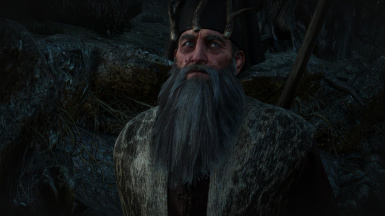 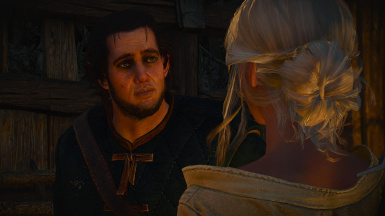 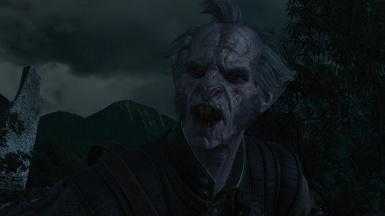 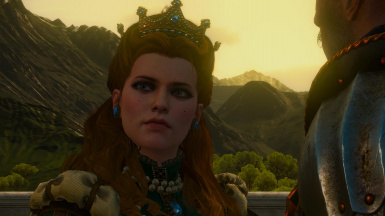 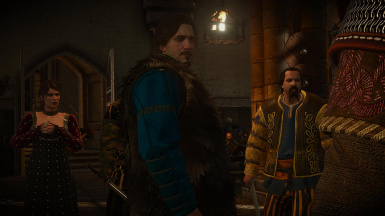 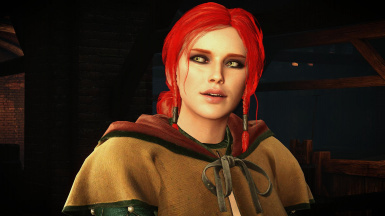 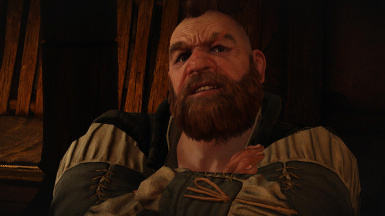 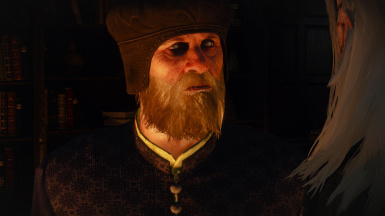 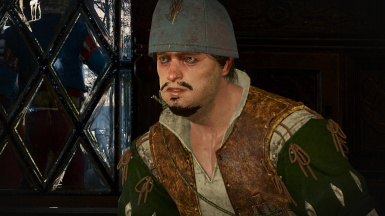 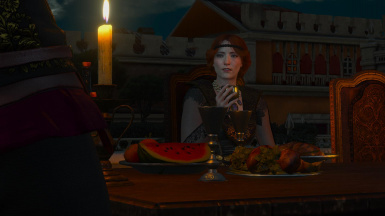 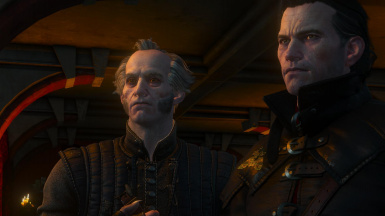 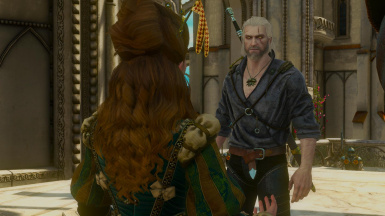 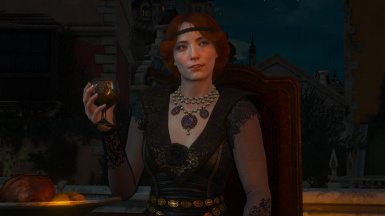 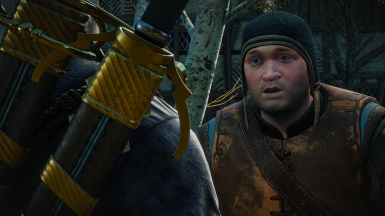 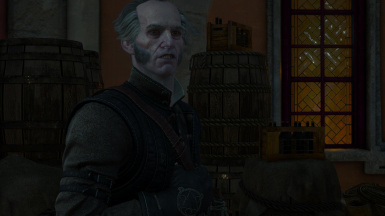 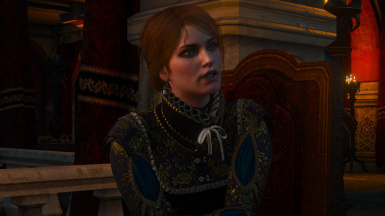 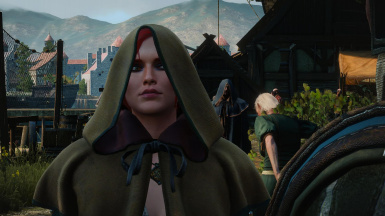 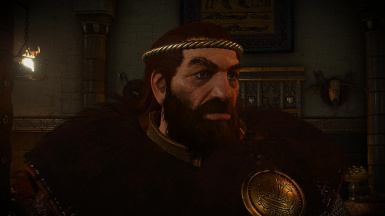 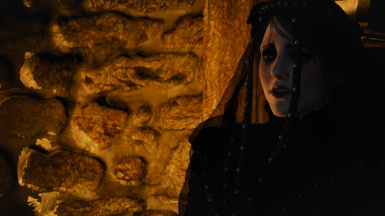 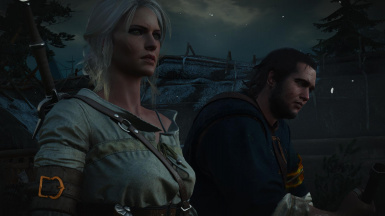 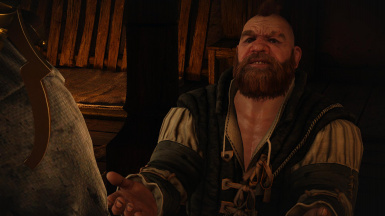 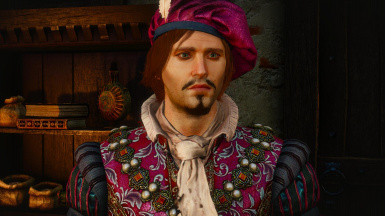 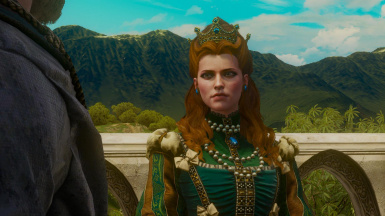 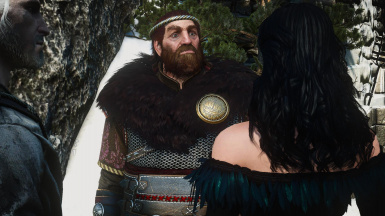 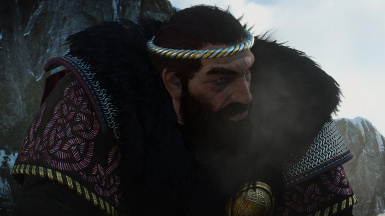 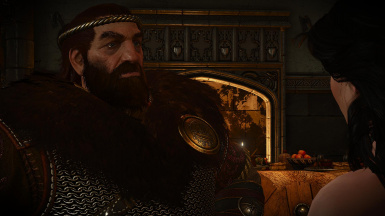 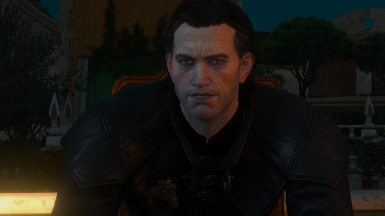 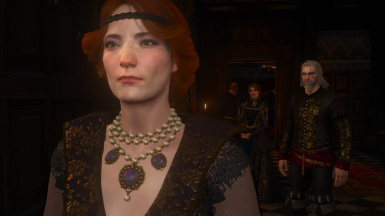 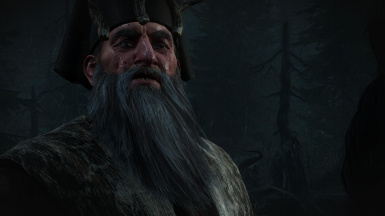 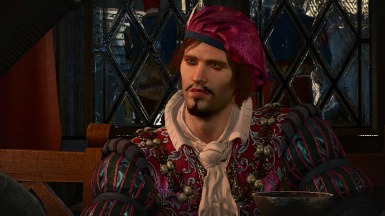 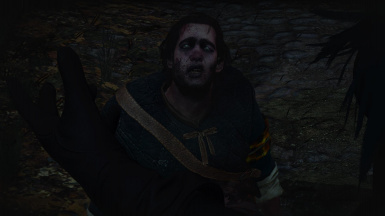 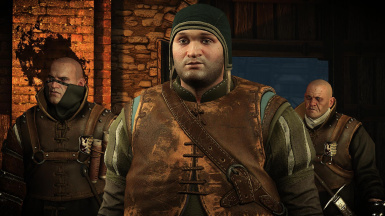 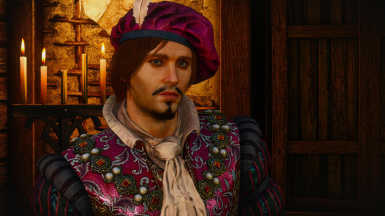 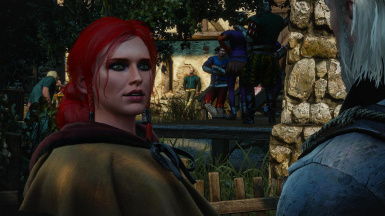 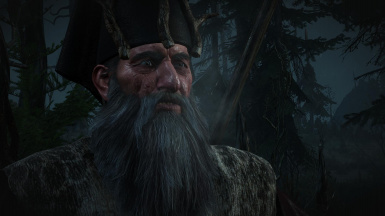 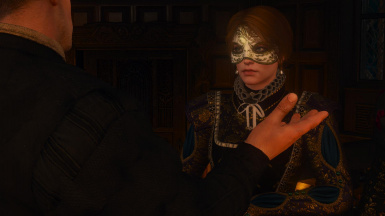 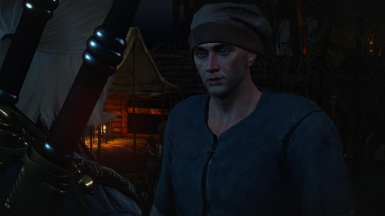 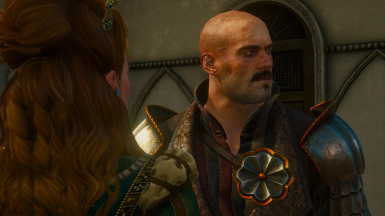 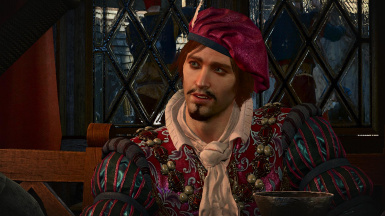 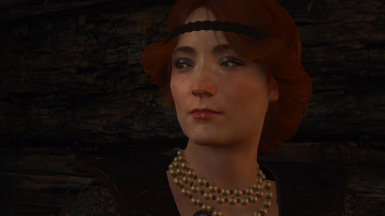 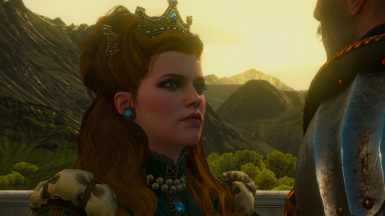 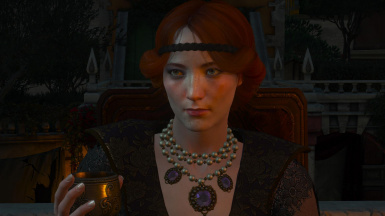 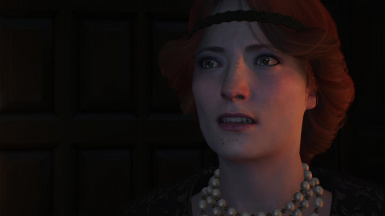 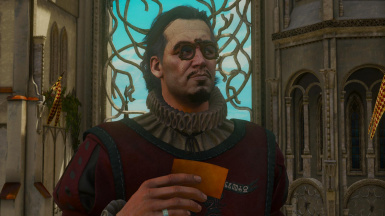 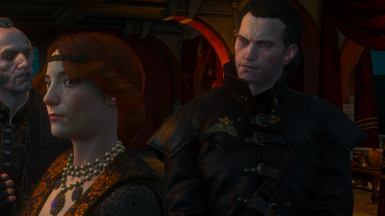 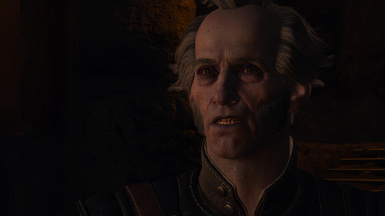 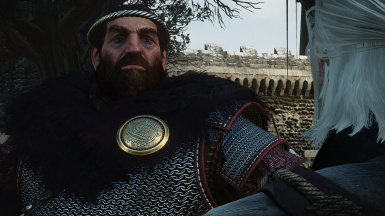 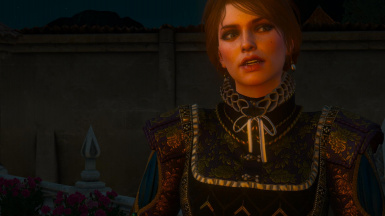 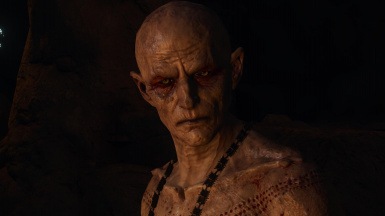 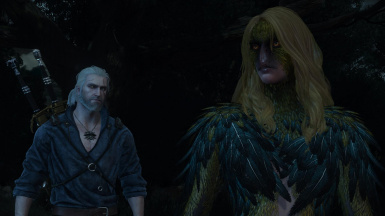 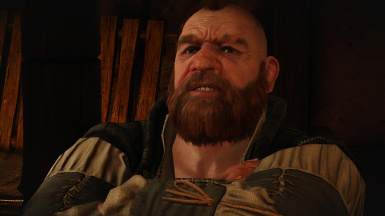 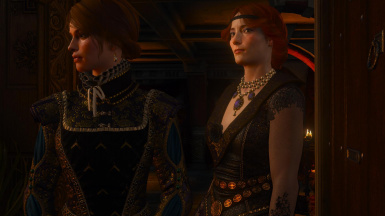 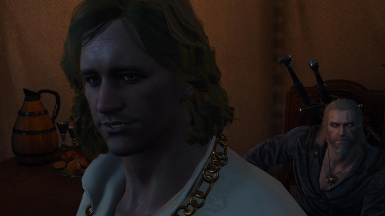 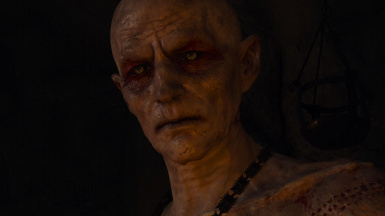 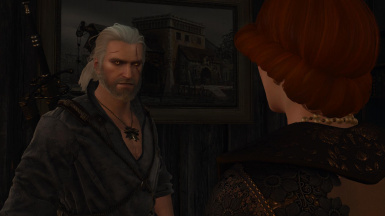 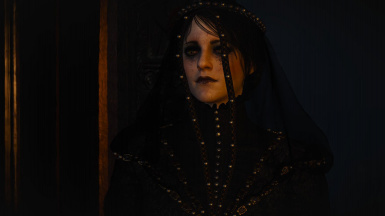 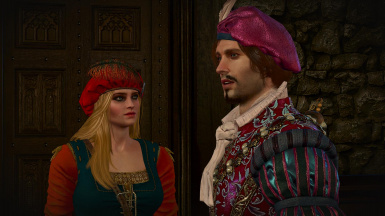 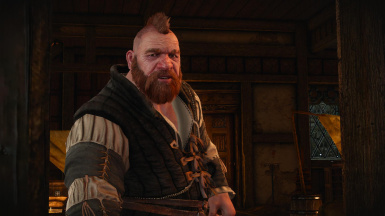 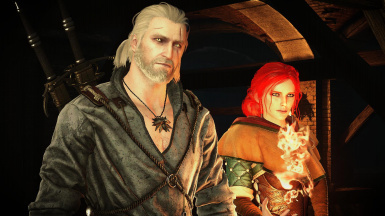 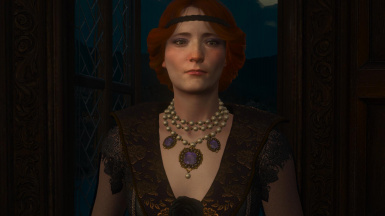 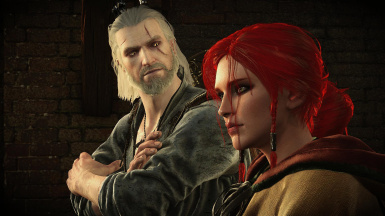 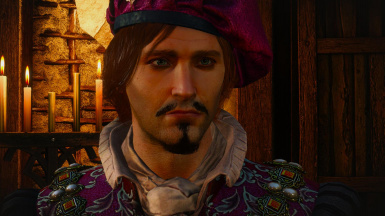 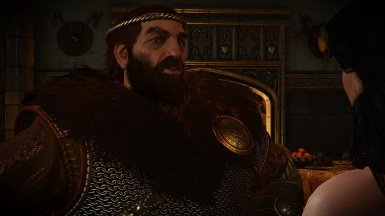 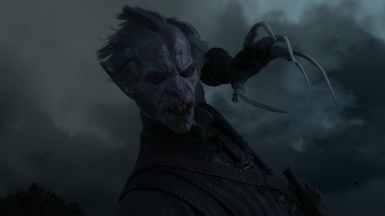 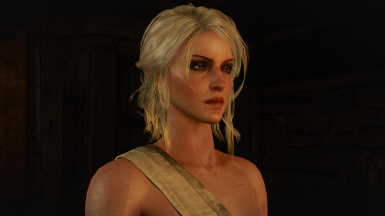 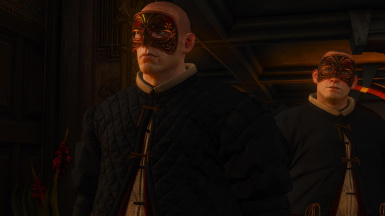 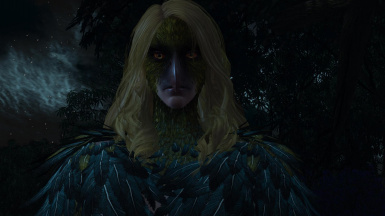 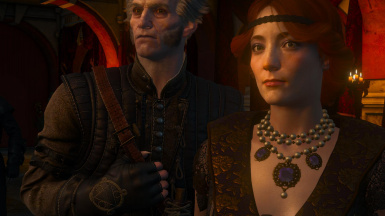 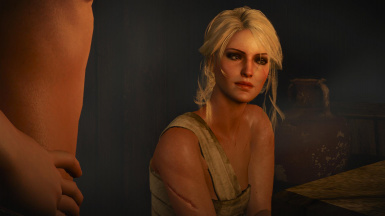 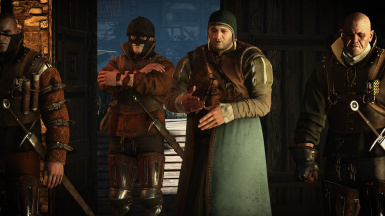 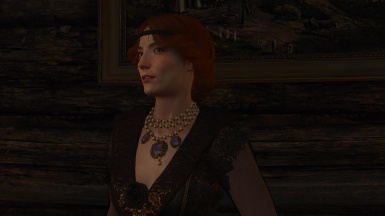 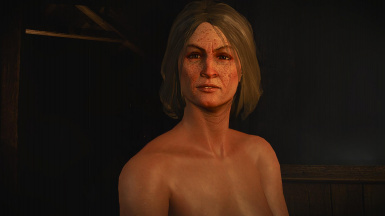 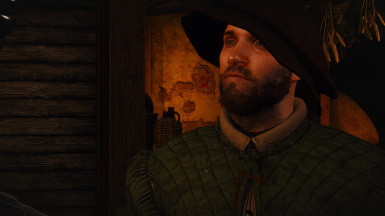 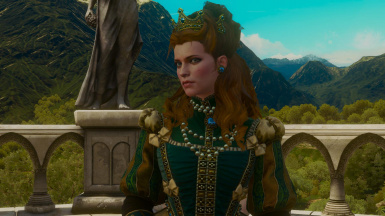 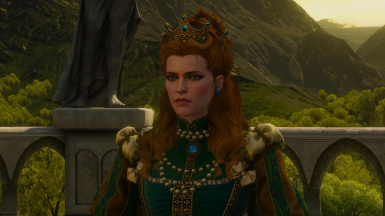 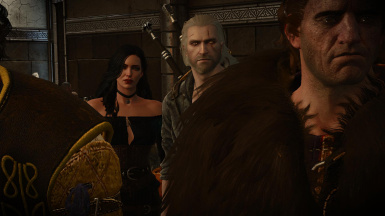 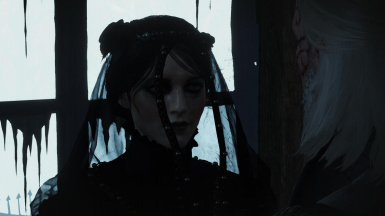 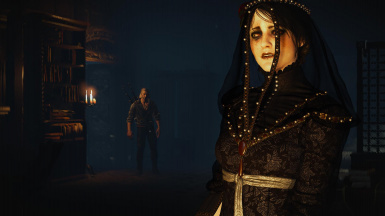 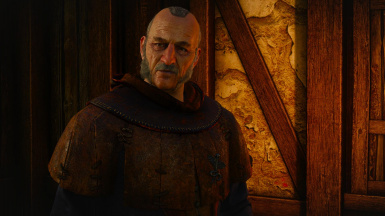 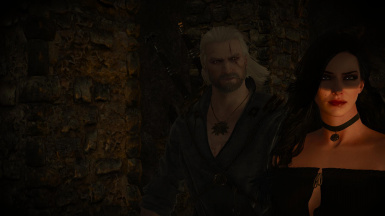 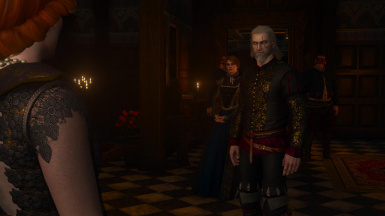 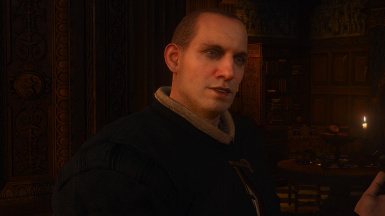 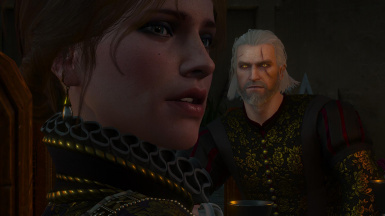 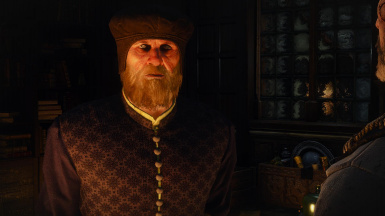 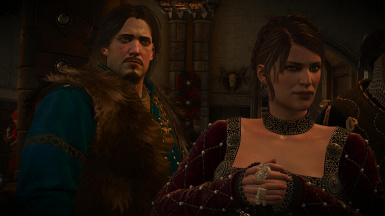 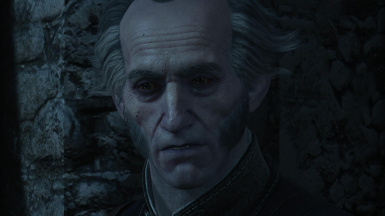 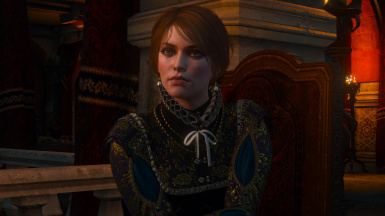 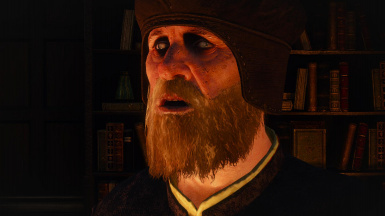 Added a version with Triss eyes being blue and no other npcs changed, full credit and kudos to hertores for explaining how it can be done in his comments section. 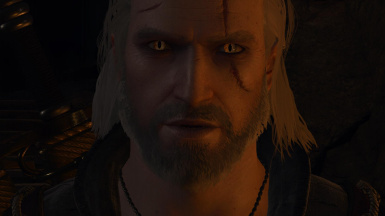 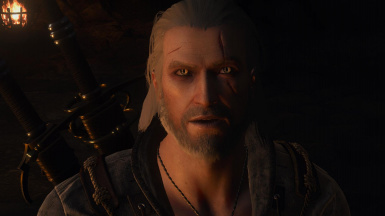 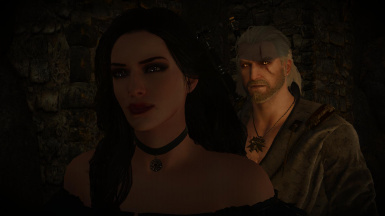 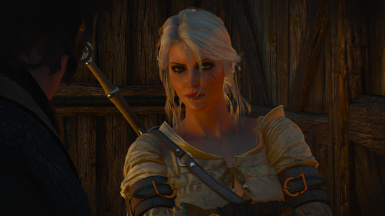 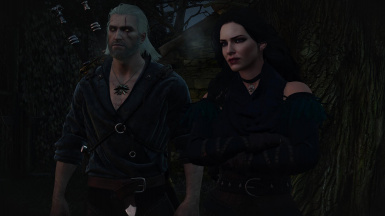 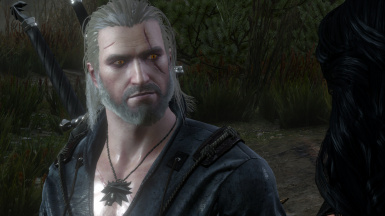 1.2: Updated and improved v1.1 witcher eyes. 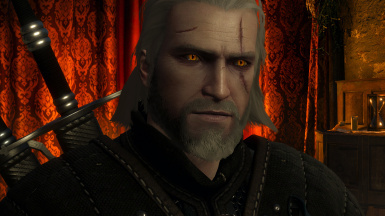 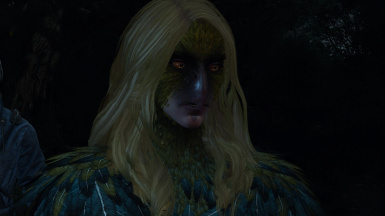 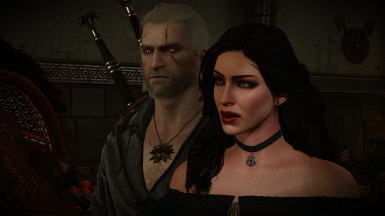 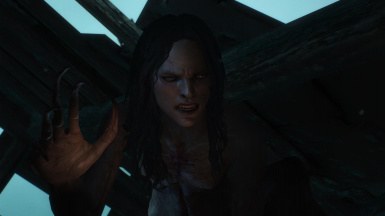 Made the witchers pupils smaller, the sclera more blood shot and redid the iris to look more feline. 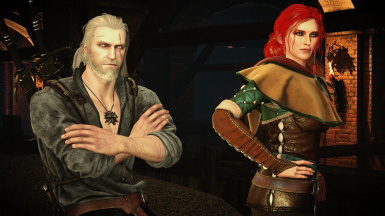 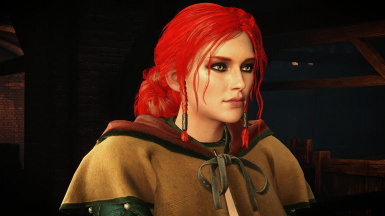 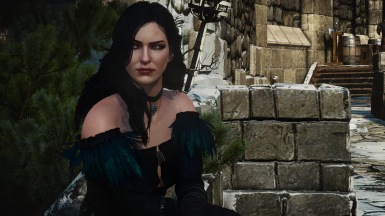 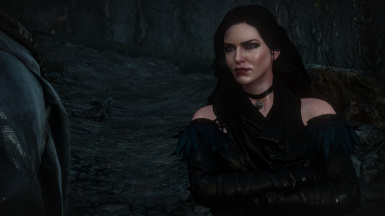 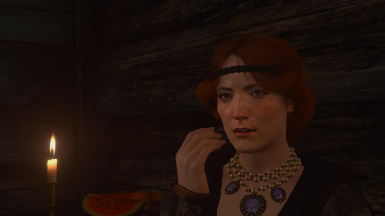 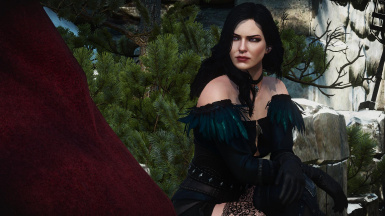 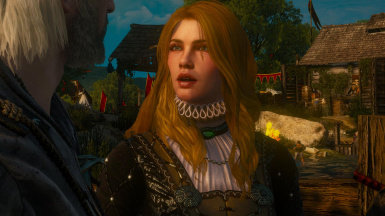 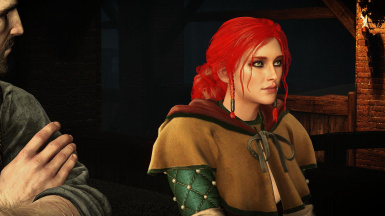 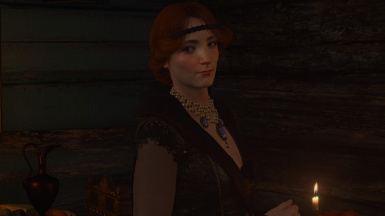 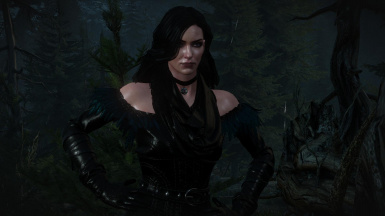 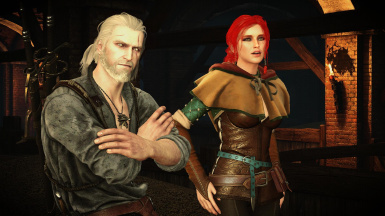 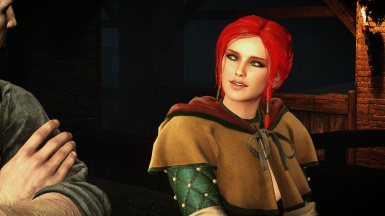 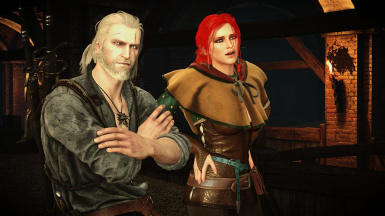 The Triss with blue eyes version must be loaded before High Quality Faces mod by Holgar96 or they will stay green, if you use that mod.